Over the last month, the Clinked team has released some new updates to the web and mobile versions of our software to further improve our customers’ experience of Clinked. It’s these frequent updates that we make, that ensure our customers always get the best results when using Clinked. Today, we’re going to be looking at three new updates; including improvements to our online document editor Seeview, the group chat feature and our audit trails. So, let’s find out more! First of all, we’ve now added a print option to documents on Seeview, our online document editor tool. This update has come as a result of a customer request and aims to eliminate the additional step of downloading documents from Clinked before being able to print them off. 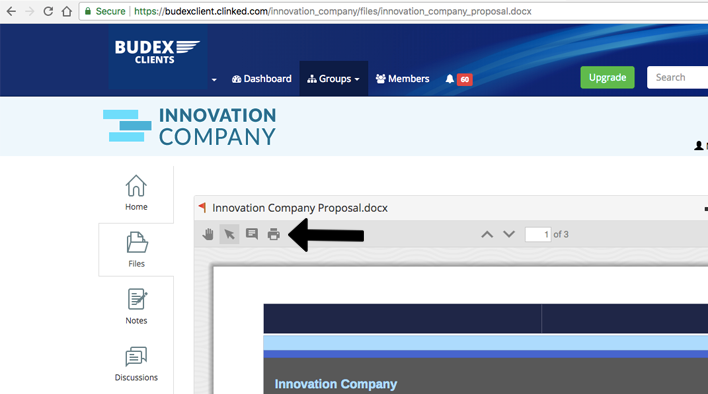 Simply navigate to a document within your files and folders and you’ll see the print button with the rest of Seeview’s editing tools. Since introducing chat push notifications for web and mobile last month, we have now also added sound push notifications for group chats. When you receive a chat message within one of your groups, you’ll get both a notification image in your Clinked tab and a discreet sound. 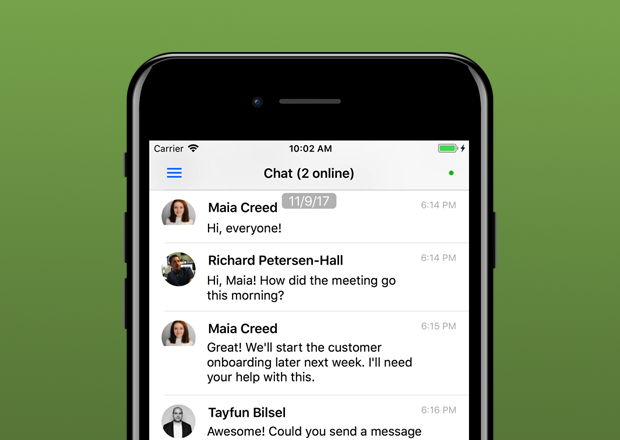 With this, customers can ensure that they never miss out on valuable group conversations. And finally, for account administrators, there is now the option to view IP and device information within audit trails. Accessible under account settings, Administrators will be able to see usernames, IP addresses, devices and when users were last active. Not only this, but they can choose to revoke access when necessary. 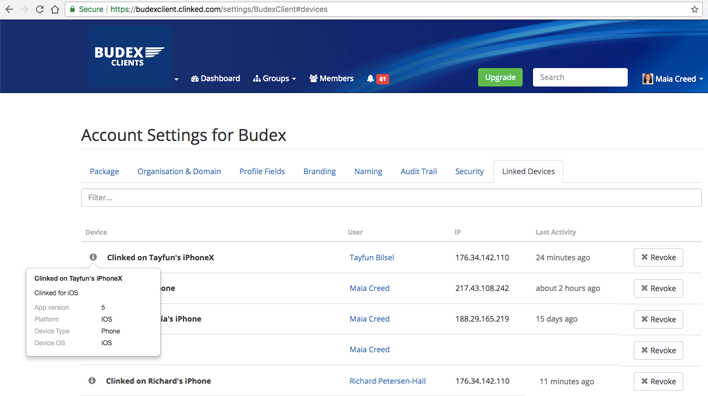 This feature provides added security and peace of mind now administrators can monitor who accesses your portal in much more detail. Want to discover more of the latest features from Clinked? Read our articles on the Clinked native mobile apps for iOS and Android users. If you’re ready to see how Clinked could work for your business, what are you waiting for? Take a look at the full list of our features or sign up for a free trial today. Clinked has launched its new native mobile app for iOS!